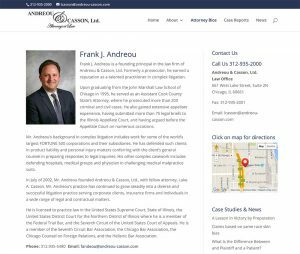 Andreou & Casson, Ltd. – Attorneys at Law | Bannor & Bannor Inc. Andreou & Casson, Ltd. – Attorneys at Law | Bannor & Bannor Inc.
Andreou & Casson, Ltd. wanted a brand new website to attract new clients and give information to current clients. They also wanted new photography to highlight their attorneys. 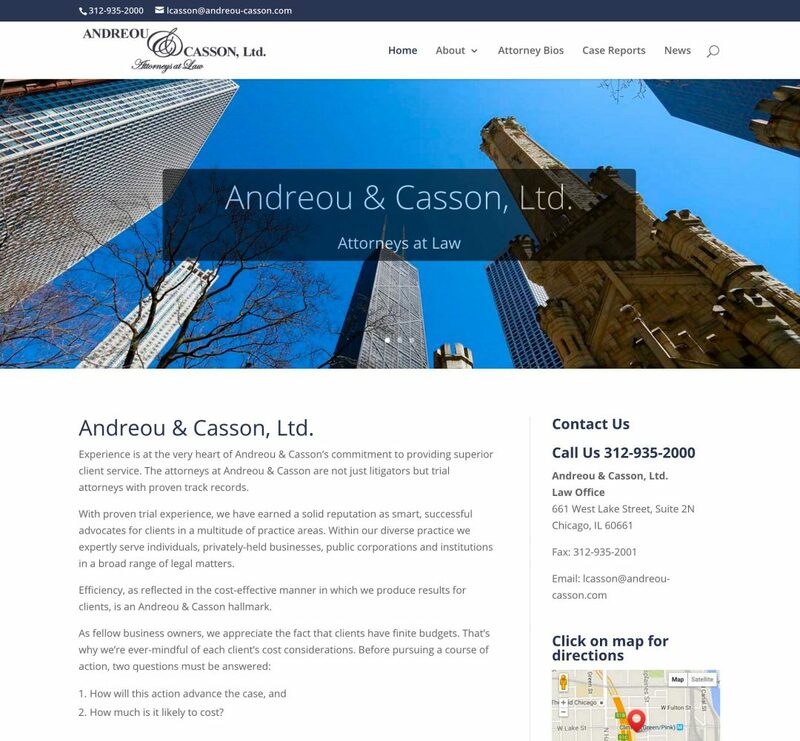 Create a brand new website for Andreou & Casson, Ltd. – Attorneys at Law. Get people to inquire about services. 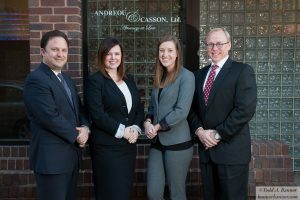 Get people to email or phone Andreou & Casson, Ltd.’s offices by making their contact information prominent on all of the pages and including a map of their location. Create a website that is easy for Andreou & Casson, Ltd. to add new content. Create new individual headshots and group shots of their attorneys.